It seems that the Imperial Guard are no more. At least not in the sense that we’ve known and loved them all these years. 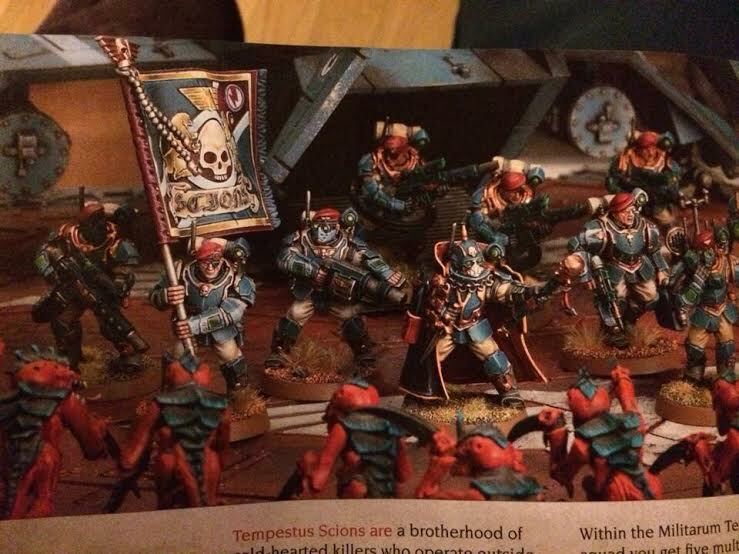 It seems they are now the Space Army – or Astra Militarum. I suspect this is the catch all organisational term applied to the Imperial Armed Forces – so the Guard, the Munitorum etc etc. Either way, the cover is gorgeous. This may have to be a purchase. And may well mean I finally collect my air cavalry army. And just to emphasis the departure from the traditional guard here’s a shot of the new Taurox and the Tempestus Scions. The former looks like some God-awful kitbash from a WWII half track, some Sister of Battle kits, an Ork Wagon and a few spare Imperial components. Tha latter look like a merging of the awesome Kasrkin models and the atrocious original plastic Stormtrooper models. I strongly urge Guard players the world over to buy up as many Kasrkin models as you can because I think there’s going to be some quite iffy models to accompany this release. 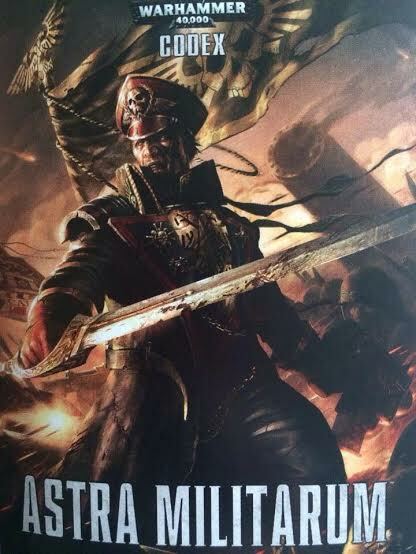 It looks like this Codex could be the biggest army shake up ever. Love the armour, not sure about the berets. Just don’t seem to work unless they were going for French Space Marines….. but yeah, that APC thing looks terrible.